The Association for Public Art announces the installation of internationally acclaimed artist Roxy Paine’s Symbiosis, a masterful work of public art that explores the tension between chaos and order in natural laws. 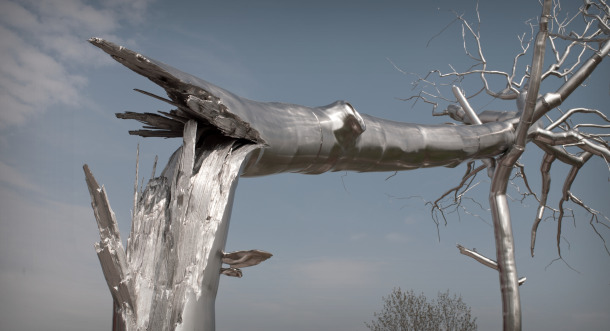 Paine is known for work that investigates the collision of industry and nature; his series of stainless steel “Dendroid” sculptures are exemplary manifestations of this practice. The“Dendroids,” a term combining “dendron” (Greek for “tree”) and -oid (a suffix meaning “form”), are monumental structures that convey a fusion of industrial and organic forms. Hand-fabricated from thousands of pieces of stainless steel pipe, plate and rods, Symbiosis suggests both ecological and anatomical branching systems. 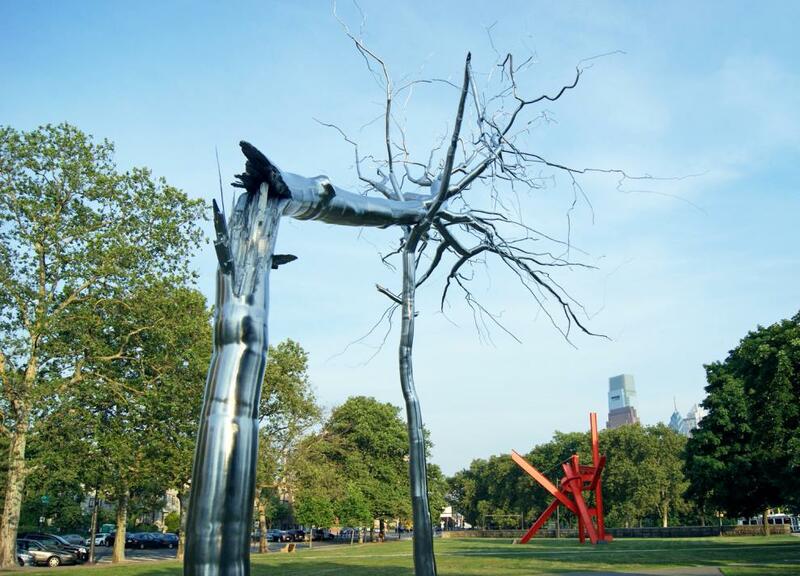 Symbiosis, presented by the Association for Public Art in cooperation with Philadelphia’s Department of Parks & Recreation, will be on view for one year (June 2014-June 2015); the sculpture is on loan from the artist, courtesy of the Marianne Boesky Gallery in New York. PHILADELPHIA — The Association for Public Art (aPA) announces the installation of internationally acclaimed artist Roxy Paine’s Symbiosis, a masterful work of public art that explores the tension between chaos and order in natural laws. 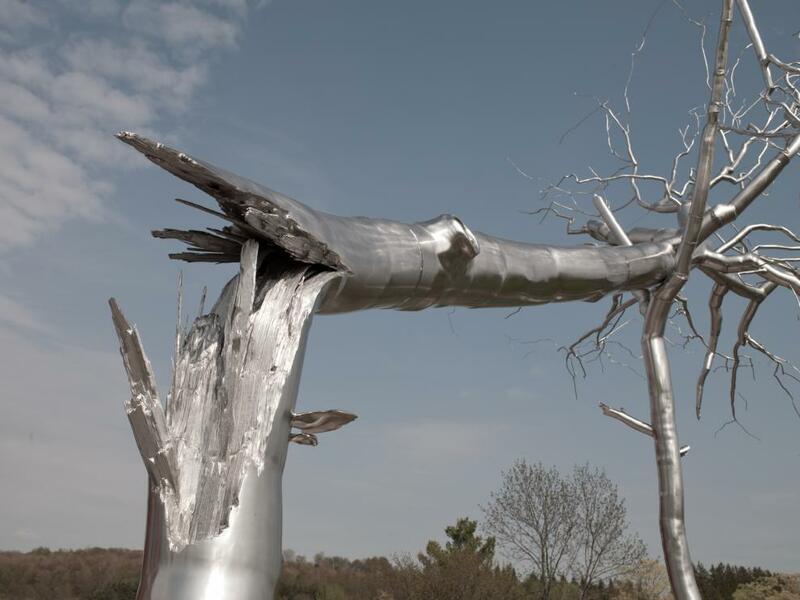 Paine is known for work that investigates the collision of industry and nature; his series of stainless steel “Dendroid” sculptures are exemplary manifestations of this practice.